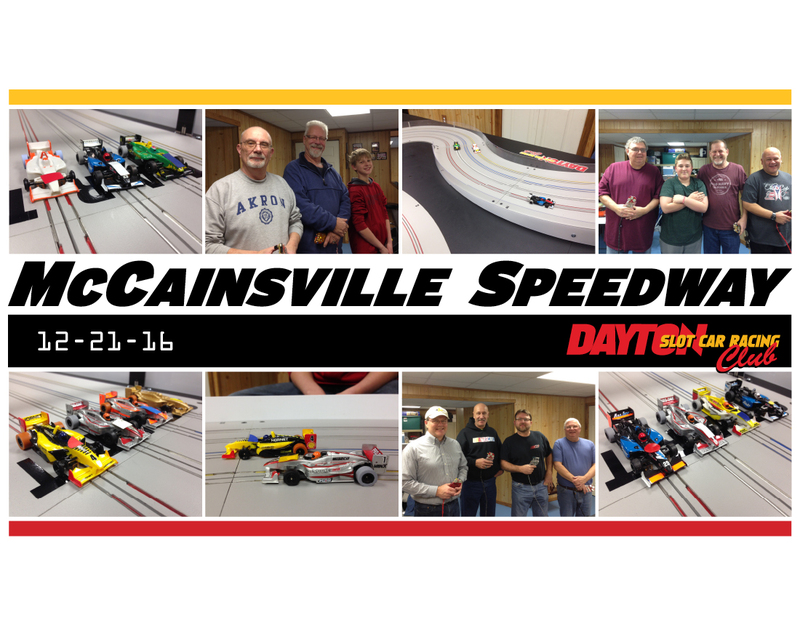 The Dayton Area HO Slot Car Club meets beginning in September and ending in May. We do run some special events on Saturday nights. We race all kinds of different classes on different road courses and ovals including T-Jets, Tyco IROC, Mega-G Indy, G-Jets and G3- GTP.